Arlington, VA, 11 November 2011: The National Genealogical Society has released two new videos for the month of November featuring Janet A. Alpert and Dr. Thomas W. Jones. Both videos are produced by Kate Geis and Allen Moore. 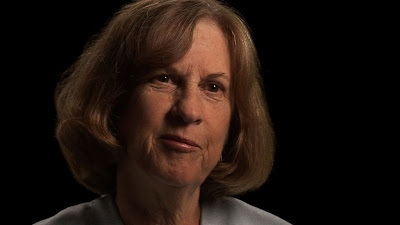 The National Genealogical Society online interview series and the NGSGenealogy channel on YouTube present Becoming a Genealogist: My Father’s Journey, with Janet A. Alpert, CG. Jan Alpert pays tribute to her father who brought her to genealogy through his search for his mother’s family. It is a story of a daughter’s love for her father and of her father’s devotion to the memory of his mother who died when he was three. Jan is the immediate past president of NGS and served as chair of the annual NGS Family History Conference in Charleston, May 2011. She retired in 2004 from a thirty-five-year career in the title insurance industry. The video is available for viewing on the videos page of the National Genealogical Society website at http://www.ngsgenealogy.org/cs/videos_online and on the NGSGenealogy channel on YouTube at http://www.youtube.com/user/NGSGenealogy. November’s video offering for National Genealogical Society members is Stories from My Research with Thomas W. Jones, Ph.D., CG, CGL, FASG, FNGS. NGS is proud to present Dr. Jones, NGSQ co-editor, sharing stories of his personal ancestral research. Dr. Jones discusses how his research and his understanding of his ancestors’ lives have affected him, how he relates to the people in the stories, what he has learned from them, and of whom he is most proud. 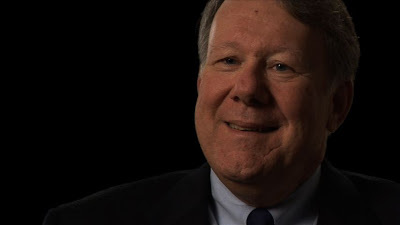 Dr. Jones is one of the leading scholars in the field of genealogy. His family story conveys his brilliance as an expert researcher along with his warm empathy as a descendant. Log in at http://www.ngsgenealogy.org, click on the Members Only tab, and then click on NGS Videos in the sidebar menu. Members who missed earlier releases can also enjoy conversations with Thomas Adams, Jan Alpert, Leslie Anderson, Laura DeGrazia, Helen Leary, Elizabeth Shown Mills, Pamela Sayre, Thomas Shawker, David Rencher, Thomas W. Jones, and Will White in the members’ area. Founded in 1903, the National Genealogical Society is dedicated to genealogy education, high research standards, and the preservation of genealogical records. The Arlington, VA-based nonprofit is the premier national society for everyone, from the beginner to the most advanced family historian, seeking excellence in publications, educational offerings, research guidance, and opportunities to interact with other genealogists. Mapping in the UK Has Just Gotten More Fun!